Updated by high-end remodeling company Kootenia Homes – over $238K in improvements! Contemporary, yet classic design. Explore the space in this 3D guided tour. If you want to take a closer look, hit the pause button (II) and use your mouse or finger to scroll up or down. 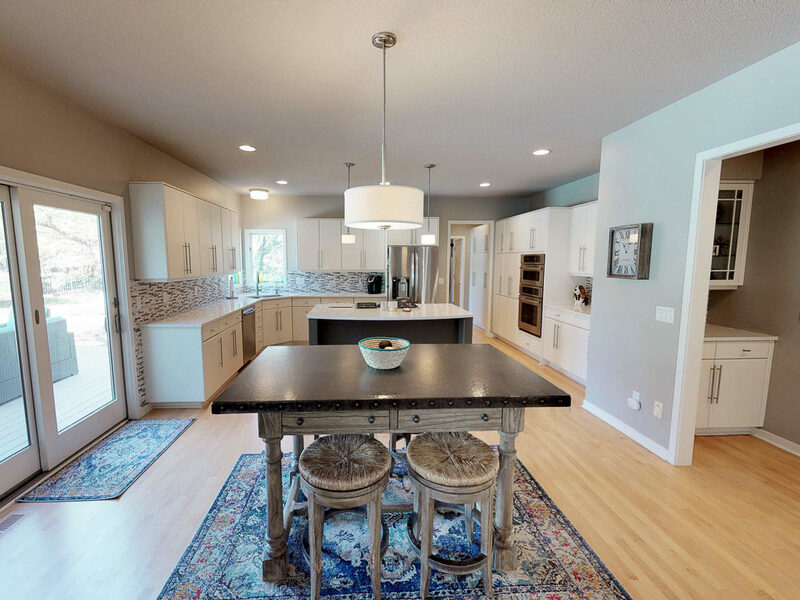 For instance, you can take a closer look at the coffered ceiling in the living room, or those gorgeous maple hardwood floors, simply by moving your mouse up and down during the tour. You can rotate 360 degrees to see every angle of a room. Hardie board siding – freshly painted! Move in ready and on-trend styling – with all the updates you would have chosen yourself! Great Location! 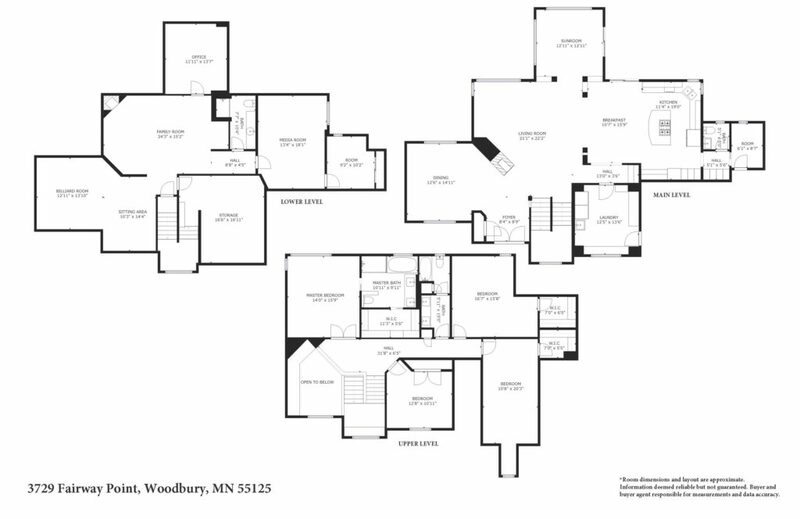 Located in Woodbury’s Wedgewood Heights neighborhood on one of the most prestigious cul de sacs in the eastern metro. This home is just a few blocks from East Ridge High School and HealthEast Sports Center. It’s close to shopping. dining, and entertainment, and is an easy commute to downtown St. Paul and MSP Airport. Desirable South Washington County Schools – District #833. 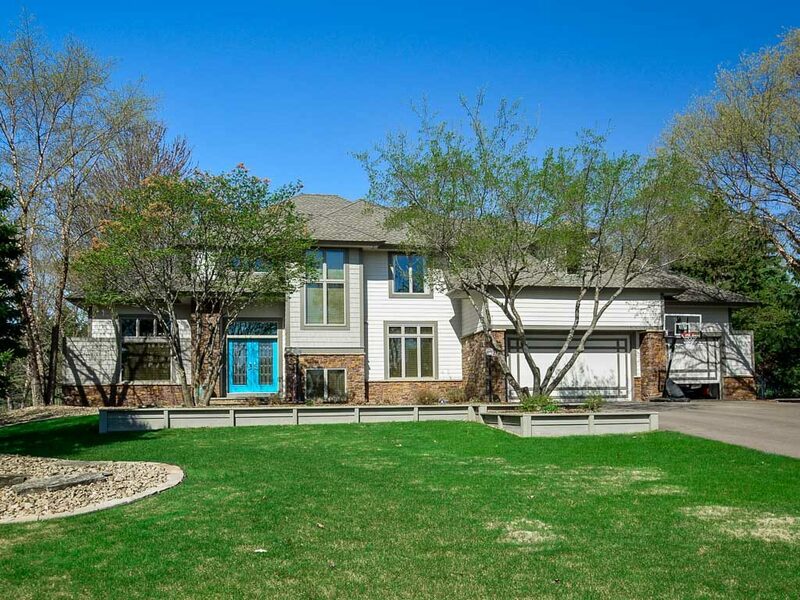 Wedgewood is one of the most prestigious neighborhoods in the eastern Twin Cities. Watch our video to learn more about Woodbury’s Wedgewood community.